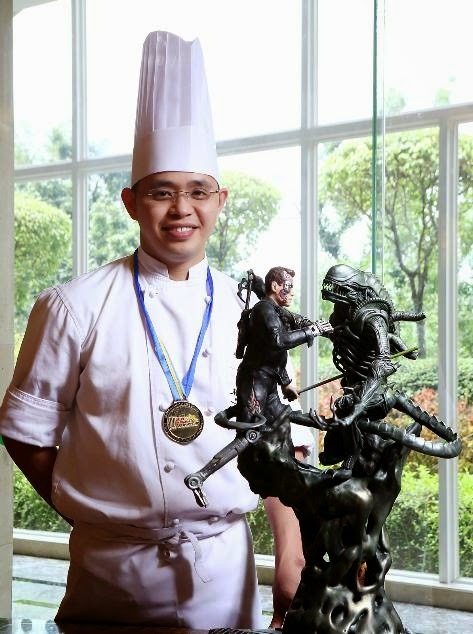 At the recent Philippine Culinary Cup (PCC), dubbed as the annual competition “where the best meet to compete” and the only continental competition endorsed by the World Association of Chefs Societies (WACS), Marriott Hotel Manila’s of team of culinary and pastry chefs garnered the most number of awards compared to its hotel counterparts. After four grueling days of competition at the SMX Convention Center, PCC’s roster of WACS-accredited judges happily awarded the team of Marriott Hotel Manila with 4 gold medals, 3 silver medals, and 5 bronze medals! Those who brought home the gold were Chefs Rej Casanova, Jae Louise Cortiñas, Francisco Santiago, and Sarah Mendoza for the Dream Team Challenge; Chefs Prince Patino and Rej Casanova for Sous Vide; and Chef Joal Albert Garfin for the Chocolate Pastry Showpiece and Chef Francisco Oliveros for Fantasy Dessert. Silver medalists were Chefs Oscar Gutay and Christopher Saquing for the Young Chefs Challenge, Chef Jimmy Manalo for U.S. Poultry, and Chef Michael John Fauni for U.S. Pork. Bronze medalists who followed suit were Chefs Brainard Vito, Jaime Lagunday, and Erwin Marquez for the Filipino Cuisine Challenge; Chef Maxine Cornista for the Quick Fire Salad; Chef David Socrates for Wedding Cakes; Chef Mary Joy Cueto for Dress the Cake; and Chef Joana Paula Tiglao along with Marty Santiago who both won for Pasta. 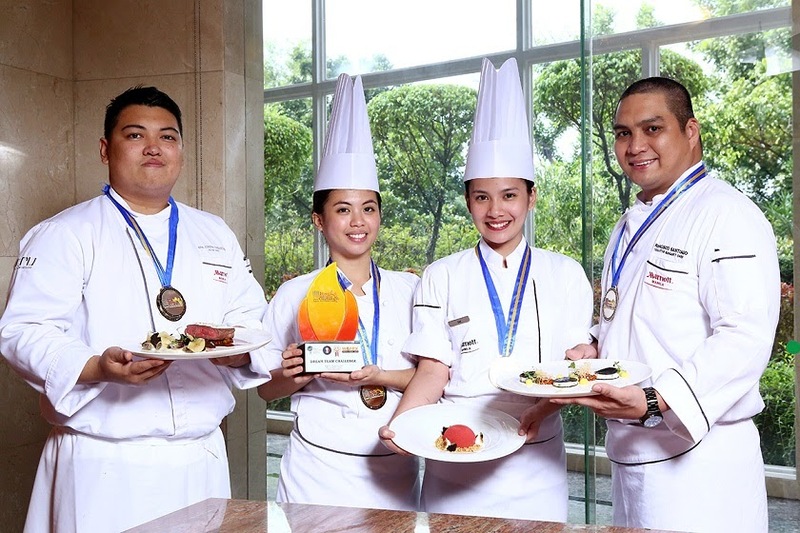 Spectators and fellow chef competitors from various establishments have always witnessed how Marriott Hotel Manila continues to prove its culinary mettle at the PCC. Noteworthy is not just its sheer number of winnings but the fact that it is able to beat its own past remarkable achievements. Indeed, why settle to be better when one can be the best? 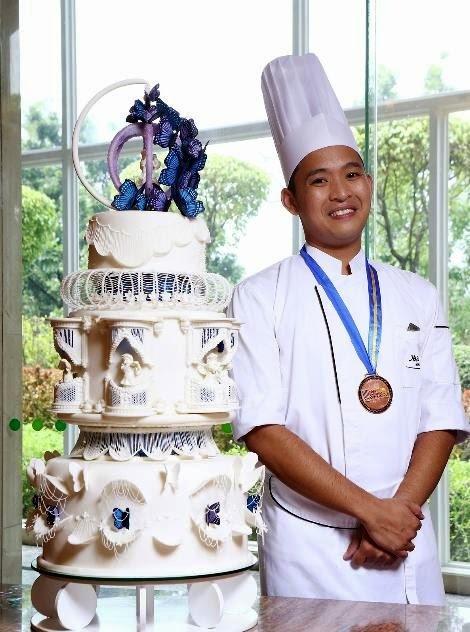 Passion for perfection is the distinct mark of the chefs of Marriott Hotel Manila. From the hotel to the culinary arena, they have exceptional ideas, remarkable taste, and seamless performance. And since only the best dishes are served to its guests, the chefs of Marriott Hotel Manila are sharing the glory of gold medals by offering these dishes at Cru Steakhouse this month of September. Diners who prefer a la carte are off to a good start with the Slow Cooked Grouper (squid ink crepe, tomato pepper relish, compressed apples, and saffron kaffir aioli) for P990. For the main course, order the Sous Vide U.S. Angus Beef Tenderloin (kaffir-corn puree, truffle potatoes, and port wine sauce) for P1,950; or choose the Pan Roasted U.S. Angus Beef Flank Steak (smoked goat cheese, vegetable ragout, cauliflower truffle puree, wild mushroom stuffed rigatoni pasta, port wine ox tail jus) for P1,650; or opt for the Sous Vide Halibut Fillet (tomato pepper relish, corn shrimp crepes, squid ink kataifi crisp, and smoke-infused hollandaise sauce) for P1,850. Cap these with a divine dessert of either Banana Crème Brulee (chocolate ganache, almond walnut crumble, and cream cheese icing) or Dark Chocolate Maracaibo Mousse (vanilla custard, orange gelee, hazelnut crunch, and salted nut crumble) for only P400. For a delightful 3-course dining experience, the Philippine Culinary Cup Special Set Menu is also offered at P3,150 for the Sous Vide U.S. Angus Beef Tenderloin, P2,950 for the Pan Roasted U.S. Angus Beef Flank Steak, and P3,000 for the Sous Vide Halibut Fillet. Enjoy these exclusive gold medal dishes, meet the pleasant award-winning chefs, or revel in both. To know more about Marriott Hotel Manila, visit www.manilamarriott.com, or follow facebook.com/marriotthotelmanila and Twitter @marriottmanila.